This Key lime pie recipe couldn't be any easier to make. It starts with a homemade or store-bought graham cracker crust that is filled with a key lime curd made with sweetened condensed milk and baked in the oven. Fresh key limes are often hard to find but bottled key lime juice is readily available at major grocery stores next to the bottled lemon juice. If all else fails, it is available online. Read more about key limes below. In a medium bowl, combine the egg yolks and sweetened condensed milk. Beat with a mixer at high speed until light and fluffy, about 5 minutes. Gradually beat in lime juice and lime zest. Pour mixture into the crust. Bake at 375 F for about 15 minutes to cook the eggs. Cool slightly and then refrigerate. Serve with a dollop of whipped cream or whipped topping if desired. Key limes are native to the Indo-Malayan region of Asia. They made their way to North Africa and the Near East by way of Arab traders and were then carried on to Palestine and Mediterranean Europe by the Crusaders. 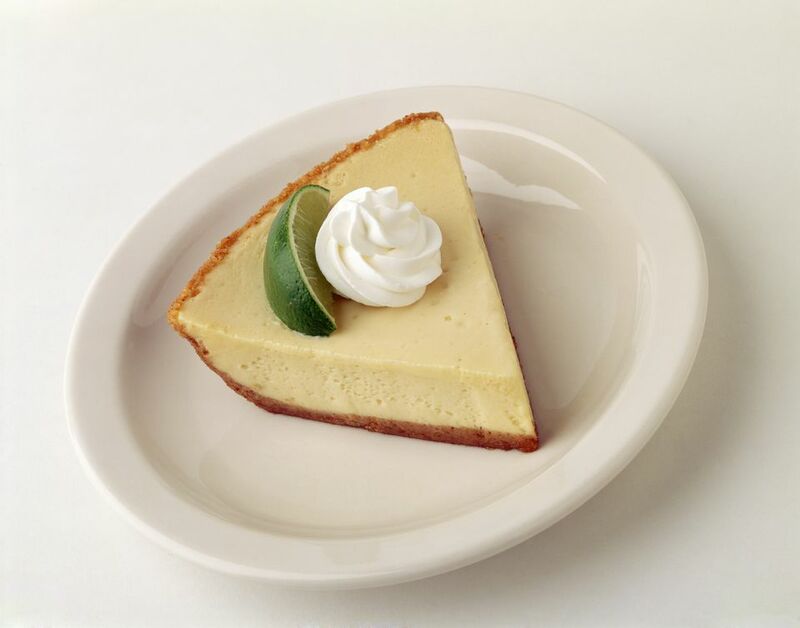 Columbus is said to have brought the Key lime to Haiti (formerly known as Hispaniola), where Spanish settlers took it to Florida. The limes did well in southern Florida, especially in the Florida Keys which gave them their common name. Because hurricanes depleted most of the Florida crops, today, most Key limes come from Mexico. Key limes are smaller than traditional limes seen in the grocery store. They are thin-skinned and contain few seeds. When green Key limes (an immature fruit) ripens to a yellow color, the acidity goes down and a sweeter flesh is the result.